An Interview with Avant-Gardist Rocío Molina, Who is Pushing the Boundaries of Flamenco. For many, Rocío Molina is the greatest talent that flamenco has produced in recent years. 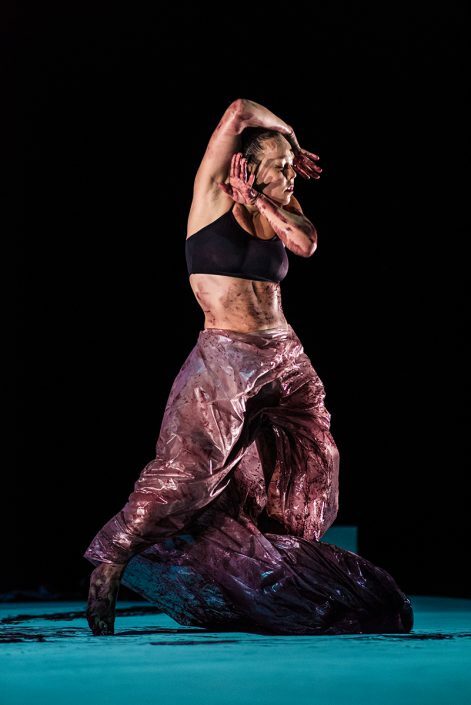 Born in Málaga in 1984, she started dancing at age 3, moved to Madrid at 15, and since then has enjoyed the eager attention of audiences and critics alike. She is the figurehead of the avant-garde, undoing the boundaries of flamenco by granting herself and her art the utmost freedom. 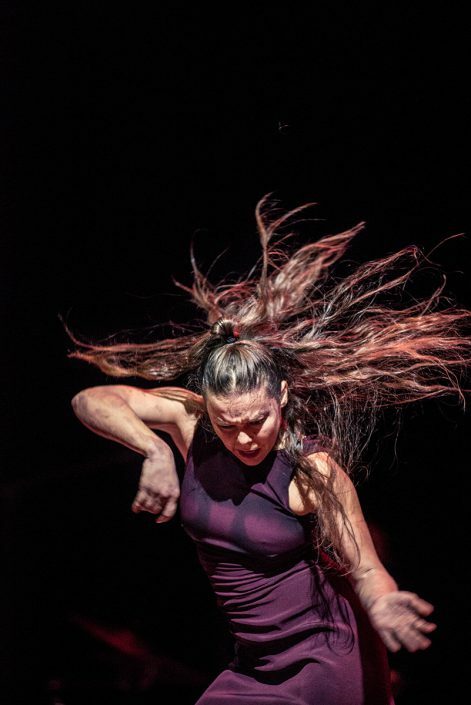 Having received numerous prizes, Molina has been provoking and exciting audiences with her new work “Caída del Cielo” – proof once more of her indomitable will to cross boundaries and be restricted by nothing and no one. Susanne Zellinger: What were you like as a child? Did you already know you wanted to dance? Rocío Molina: Oh yes, I knew very early on I wanted to dance. I was fortunate in that my parents supported me in every way. I wanted to dance, I wanted to work, and I wanted to learn – I didn’t have to be coerced at all. On the contrary, when the weekend came and I had nothing to do, I became intolerable. I would get angry and would cry without knowing why. I would whine until my mother would take me somewhere I could dance. I was always asking her to take me to some school or another so I could learn something. RM: I can still remember it well: I had just had a performance, I was seven years old and I told my mother that I wanted to become a professional dancer. I asked her to enrol me in a school. My mother was a classical dancer herself at the opera in Brussels during Maurice Béjart’s era. I was able to fulfil one of her dreams. She helped me where she could, accompanying me everywhere, to Seville, Madrid, Granada. I was really very lucky. SZ: When did you move to Madrid? RM: I had wanted to move to the capital when I was 13, but I had to wait until I turned 15. My mother stayed on a few months with me, until I began studying at the “Real Conservatorio de Danza” in Madrid. She still comes to see a lot of my performances. SZ: You had your first major success with “Oro Viejo” in 2008. What happened after that? RM: Actually it was a very natural progression. I was curious and wanted to try out new things. “Oro Viejo” was still a rather traditional piece with a large ensemble, but from that moment on I began to concentrate on my own path. It was also the period of the economic crisis in Spain, but I was very successful at the time and I began to worry less and less about what people said. I was prepared to take a risk by turning to a contemporary style. My major shift came with “Cuando las piedras vuelen”, because I got to know the director Carlos Marquerie. He came from a theatre background and helped me to find an entirely new approach. He opened my eyes, so to speak. The collaboration with him resulted in “Afectos”, a little piece with the singer Rosario La Tremendita and Pablo Martín on double bass. In the wake of two quite ambitious pieces with a large ensemble, I suddenly had a desire to do something simple, small and clear, and I just wanted to dance without having to think about it too much. Then came “Danzaora” and finally “Bosque Ardora”. That was about being as a concept, whether of human beings or of animals, and about power, fear and territorial claims, but also about emotions, revenge, forgiveness, seduction, taming – about living, in other words. It’s definitely good when people discuss a work and there are different opinions. It also makes me a stronger artist. SZ: “Bosque Ardora” was met with unanimous approval from the avant-garde but with uproar from the purists. Was that a conflict for you? RM: No, on the contrary, I was excited. If everyone agrees then usually there’s a problem somewhere. In fact I always used to get good reviews but that made me kind of uncomfortable, kind of nervous. Of course, that’s not why I chose a new path, but it’s definitely good when people discuss a work and there are different opinions. It also makes me a stronger artist; it gives me the courage to change myself. SZ: How did your newest work “Caída del Cielo” come about? RM: It didn’t originate with a concrete idea, but rather with a leap into the void, with all the risk that that entails. But along the way we remained very attentive, and we tried to give a meaning to all the situations and images we encountered. My improvisations played a role too – I’ve been doing them for some time now. But it was also a work based on trust in my musicians, on the relationship that we have with each other. It’s not a project where we had a particular topic in mind from the beginning that we wanted to work on. The only thing that emerged in the beginning was that it was to be a diptych, a piece with two parts. The first one was to be refined, very white, very beautiful and totally perfect. The second was to be a total contrast to that: dirtier and darker, perhaps also containing something of the forbidden. That’s where we started out. In flamenco I break the vertical and approach the fall, or falling. SZ: Does it have much to do with you yourself, with who you are? RM: All of my pieces have to do with me, but above all in relation to the fact that I’m always searching and, of course, putting my art in relation with who I am and with my life. I’m an artist who likes to provoke or, more precisely, who likes to explore uncertain terrain. I like to shake things up, to shake up situations that have gotten stuck, and to push them to extremes, especially physically. That’s something that’s always there in my pieces, that’s what my dancing is like. In flamenco I break the vertical and approach the fall, or falling, but it always has to do with flamenco. Technique is not always in the foreground, the question of whether I’m dancing well from a technical point of view. Rather, the focus is on what I’m feeling, because for me that’s flamenco. But as I say I’m searching, and the search has something transgressive, something borderline about it, like all searching. SZ: In comparison with “Bosque Ardora”, your new piece is much less conceptual. RM: True, but like all projects, it was necessary. It’s as if I’m writing a diary, and I write something in it every day. “Bosque Ardora” has nothing in common with this piece, it’s more conceptual, more cinematographic, much more thoroughly planned and choreographed. “Caída del Cielo” is the exact opposite. I had no idea what to expect. The choreography is much freer, but nonetheless I had to make the one so the other would be possible. With every piece there’s always something like an echo, a sound that stays with you and prepares you for the next one. There are many births in this work, the various births of a woman over the course of her life. SZ: “Caída del Cielo” starts with this long, white silence, a striking opening. RM: Yes, and the silence has a profound meaning. It’s deeply significant. The physical dimension – this drawn-out contact with the floor – stays in the background. It’s my own personal longing to work with silence, with this kind of beauty that allows you to develop the movements. You persist and only then do you discover the movement, as if it were a birth, the first emergence, a preparation for what is to come. There are many births in this work, the various births of a woman over the course of her life. The beginning is very important for the whole piece, but especially for the end. Perhaps its significance only reveals itself once you’ve seen the whole piece. SZ: How important is it for you to explore the boundaries of flamenco? RM: It’s a necessity for me. I neither maintain that what I do is flamenco nor that it isn’t. I follow the demands of my body and call it a virtue or a mistake if my body moves itself in many different ways – but why shouldn’t I exhaust my capacities? Why should I subject myself to limits that restrict me? I believe in the freedom of the mind and the body.